Zika virus has been in the news since the beginning of the year, and there’s a lot of information out there; some of it is reassuring and some, well, not so much. Here’s some things you should know that will make you worry/not worry about this infectious disease that’s been reported worldwide. New Outbreak of Zika: Tip of the Iceberg? Zika virus may now have a second local outbreak zone in South Florida: the popular resort destination of Miami Beach, where two new cases appear to be the work of local mosquitoes. In this episode of American Survival Radio, a new list of bad outcomes in newborns from the Zika virus includes something called Arthrogryposis, a condition where limbs and joints are deformed and fixed in position. 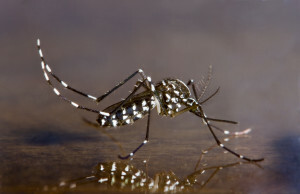 Although this may be seen occasionally as “clubfoot”, 6 of 7 microcephalic babies with Zika were found to have it in multiple joints, perhaps indicating major damage to nerves outside the brain from the virus. In this episode of American Survival Radio, Joe and Amy Alton discover that a record number of Syrian refugees have been admitted in the last month to the United States, but not one of them is a Christian, the most persecuted group in the war zone. Why? 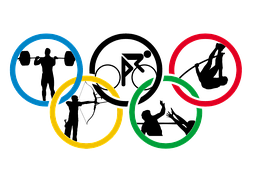 Plus, more and more medical professionals and scientists are calling to cancel the upcoming Summer Olympics due to concerns about the Zika Virus. Is it a bad idea to have half a million tourists enter the epidemic zone? As warmer weather arrives in the U.S., the population of Aedes mosquitoes that transmit the Zika virus is set to explode. Yet, both the White House and Congress are in a battle over the efforts to prevent the epidemic from spreading to the nation. The Florida Keys get a visit from a genetically modified insect this Spring. What happens when a frankenbug comes to town? The U.S. has gotten the go-ahead from the Food and Drug Administration to deploy a new weapon: a genetically modified male mosquito to fight the Zika virus. The FDA has released its environmental impact study of OX513A, a male Aedes aegypti mosquito genetically with a deadly gene it passes to offspring that prevents their maturation into adults.